I am ashamed to say I have never been to Baja Fresh BUT I have heard how amazing it is! 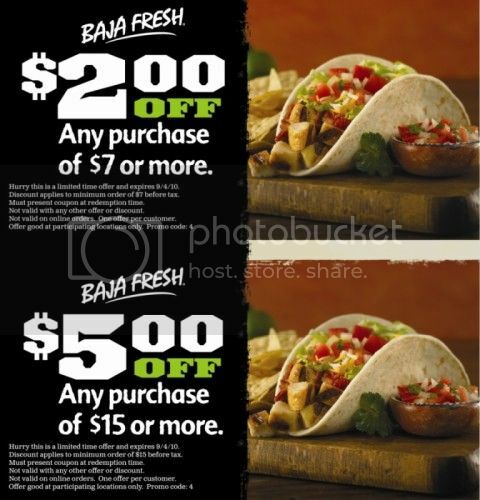 I am sure you will all enjoy these Baja Fresh Coupons! One is for $2 off a $7 purchase and the other is for $5 off $15 purchase. These coupons are both good through September 4th. Find a Baja Fresh location in your area.